In this piece, originally published in the May 2017 issue of the George Wright Forum (vol 34, no 1), guest observer Rolf Diamant explores the significance of National Monuments to the National Park system. 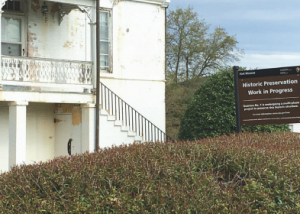 He calls attention to Fort Monroe National Monument, located in Hampton, Virginia, as an example of how National Monuments have played a key role in expanding the depth and breadth of the stories interpreted at park units. Also highlighted in the article is the recently created Reconstruction Era National Monument in Beaufort County, South Carolina. President Obama’s decision to designate this site shortly before leaving office will likely be regarded as one of his most significant uses of the Antiquities Act, as the Monument interprets a period described by historian Greg Downs as “America’s first great experiment in bi-racial democracy.” Until the creation of the monument in 2016, no unit of park system focused primarily on Reconstruction. In addition to his discussion of National Monuments, Diamant touches on current funding and management challenges facing the agency, including shrinking numbers of staff and decreased support for some newly designated units. Thanks to the George Wright Society for permission to use this piece.